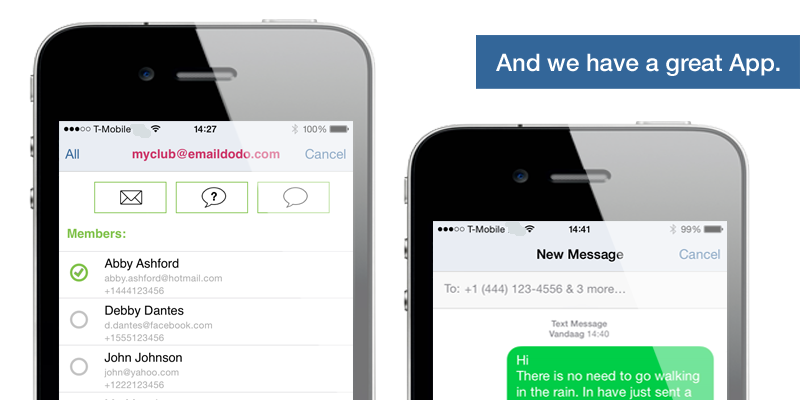 All members in the group can send text messages to (a selection of) the group. From anywhere, just by using your mobile. You just need our free App. You always have all group member details at hand. Of course, you can send your group eMails and Questions.